If you’ve been keep up with my adventures you will have read Spinning a Fine New Zealand Merino Fleece where I talk about spinning a beautiful fine Merino fleece into lace weight yarn after washing it lock by lock and hand combing it. 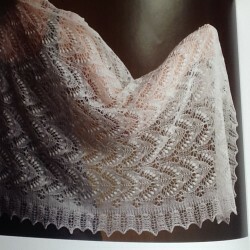 There were some mistakes, and I leaned a lot from them, but I found myself spinning a lovely lace weight yarn that would be excellent in a handknit shawl by the third skein so I started to knit. 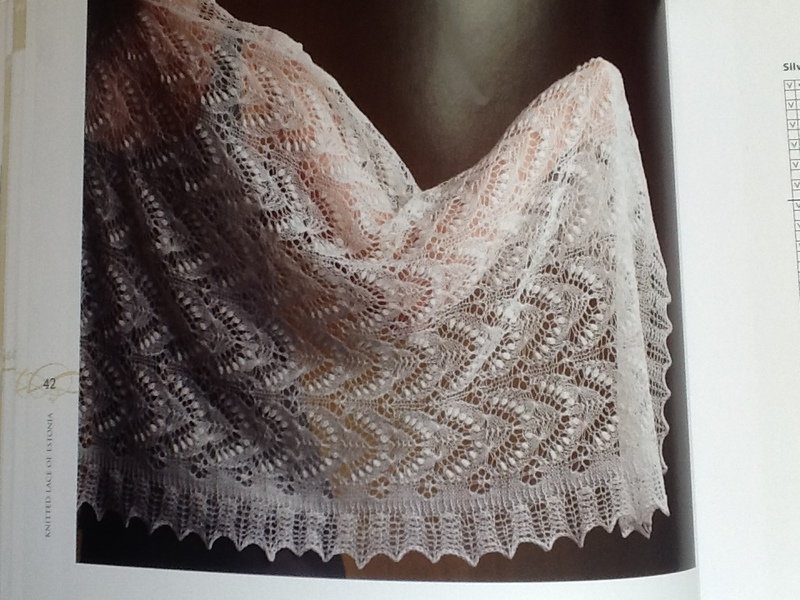 I choose a pattern from Nancy Bush’s book Knitted Lace of Estonia, the Queen Sylvia Shawl and cast on. The knitting was fun and after a few days I got to the end of my first skein and joined the second. After a few rows I noticed, to my horror, that the colour was so different that I would have to overdye the whole shawl even if I choose to keep it for myself unless I can find a way to lighten the creamy parts. Upon closer inspection I did notice that there were bands of lighter and darker areas within the first skein that I just had not noticed until I gave it a better look in natural light. You will have to click on this thumbnail to see the worst of the bands. It is at the very top. I stopped after just a few rows to take this picture. 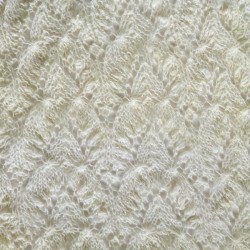 I posted my question on Ravelry Joy of Handspinning discussion board and I got some very helpful suggestions. In retrospect I feel like it was really a “duh” move. I should have known this would happen and I will have to be more aware and careful whenever I spin from a raw fleece. I have been spinning from prepared fiber too much lately and have forgotten one of the basics of spinning from a fleece. Any fleece, and especially a coloured one will have this issue. It is something that a spinner *should* be thinking about right from the beginning of the project. Whether you are spinning a white fleece and you want to leave your yarn white or you are spinning a coloured fleece you usually don’t want the changes in color to come suddenly at the end of a skein creating a very obvious line. If the fleece has obvious colour differences you should spread out the whole fleece and sort it before you start. You may want to emphasise the differences by sorting for stripes or blend them all into a solid or create a heather effect and they would all take different sorting and preparation. If you are spinning a woolen yarn and you would like your colour to be even throughout the project you can put it all through the drum carder, split all of your batts and blend them by putting them through again mixed. Do this as many times as you feel is needed to get consistent colour. You can make a tweed by sorting the colours first, card them separately, stack and roll and spin from the end of the roll. If you are combing your locks you can also comb the whole amount needed for the project, go back and split them and re-comb to combine just as we did above with the drum carder. Further ensure evenness of color by spinning all of the yarn for the entire project and winding it onto inexpensive weaver’s bobbins before plying. Randomly ply bobbins back together. 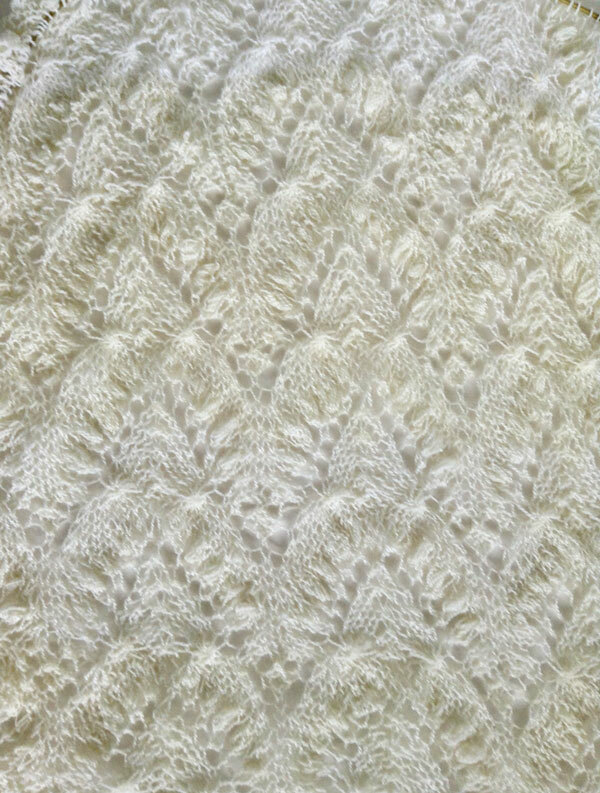 I always knit with three balls of wool, that way the colour differences are not so noticeable, being only one line and not blocks. I use the three balls so there will always be a ball to change to at the end of each row of knitting. I find that any differences in colour is less noticeable if only one row is knitted with each ball rather than two rows. Finally, always plan with this in mind from step one when spinning from a raw fleece, even and perhaps especially when spinning a white one.